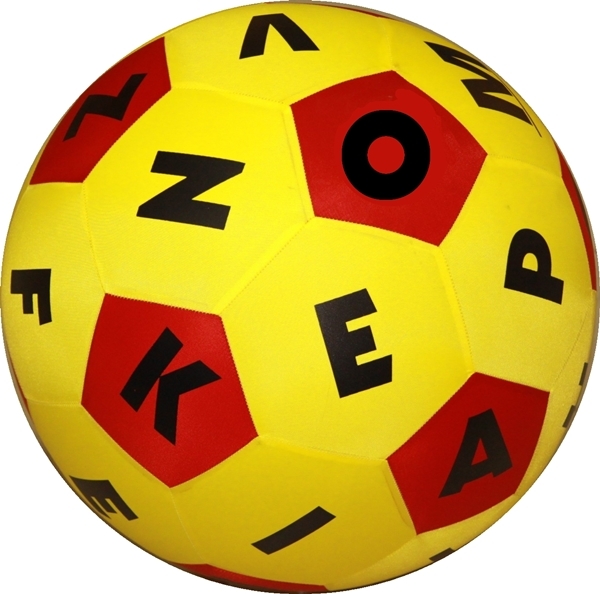 Alphabet Ball – Many games can be enjoyed with this Alphabet ball. Calling out words, nouns, verbs, adjectives, creating sentences by using the previous word, A – Z of animals, foods, clothes, plus countless other creative activities. Ideal for foreign language studies, training, or a fun activity to engage group spontaneity. Great party ball too! 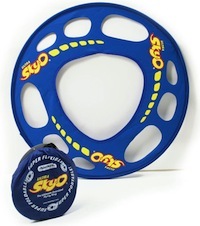 A fun way for children to play and compete against each other while learning at the same time. 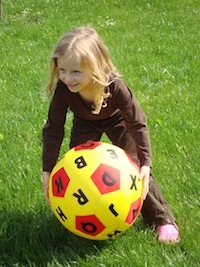 Whether at home, at playgroup or at school: the ball is quickly inflated and ready to use. 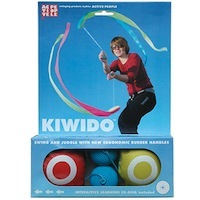 The ball consists of a stitched (32-panel) fabric cover and durable balloon. First, the balloon is inserted into the cover and inflated by using the plastic mouth piece. Seal the fully inflated balloon by removing the mouthpiece and twisting the balloon neck around itself a few times (Do not Knot!). Then slip the neck into the fabric cover. Please retain mouthpiece to re-inflate balloon as needed. Inflated ball size: 35 cm (14”). -Two players keep score by checking each others answers. referee checks the time used. Then the next team enters the game. The team with the best time score wins. -If two or more balls are available, several teams can compete against each other simultaneously. If a player’s thumb lands on the HANDS ON mascot,he/she can decide an activity for others in the group. -Hopping on one leg, Walking backwards. -Leaping around like frogs, Dancing the Conga…etc.